Women’s basketball student-athlete Isis Young ’18, G’19 gets her drive from her parents. Her networking skills, though, have been honed at Syracuse University. Young, who graduated with a communication and rhetorical studies degree from the College of Visual and Performing Arts, was constantly encouraged by faculty, coaches and staff with the Athletics Department and its Stevenson Educational Center for Student-Athlete Development to reach out to those in the field she’s interested in—sports broadcasting. Along with pursuing a degree in civil engineering in the College of Engineering and Computer Science, student-athlete Iliass Aouani ’19 has developed skills in time management and good ethics. “At Syracuse University, they really teach us to be professionals in every sense,” Aouani says. Both Aouani and Young are confident in the knowledge they’ve gained and the skills they’ve learned on and off the playing fields and courts as they look to their long-term goals. Their success stories are reflected in the overall academic success of Syracuse University’s student-athletes as represented by the University’s Academic Progress Rate (APR), announced today by the NCAA. The APR number, which follows individual student and total program progression at each Division I institution, tracks student-athletes by assigning points for each semester they remain eligible and for staying enrolled or graduating. Each program at Syracuse surpassed the minimum standard of 930 (a perfect score is 1,000) and, in combining the program numbers, the University earned the highest four-year average since tracking the APR began. The most recent APRs are multiyear rates based on scores from the 2013-14, 2014-15, 2015-16 and 2016-17 academic years. Additionally, the number of teams receiving perfect four-averages went from two to five. Those teams will receive the NCAA Public Recognition Award: men’s basketball (second consecutive year), women’s soccer (third consecutive year), men’s cross country, men’s track indoor/outdoor and women’s tennis. Eleven teams had perfect one-year scores: men’s basketball, men’s cross country, men’s soccer, men’s track indoor/outdoor, women’s cross country, women’s lacrosse, women’s softball, women’s soccer, women’s tennis, women’s track and women’s volleyball. Additionally, with the University’s combined score being the highest four-year average, “we’re really excited about the overall health of the athletics academic program,” Powell says. 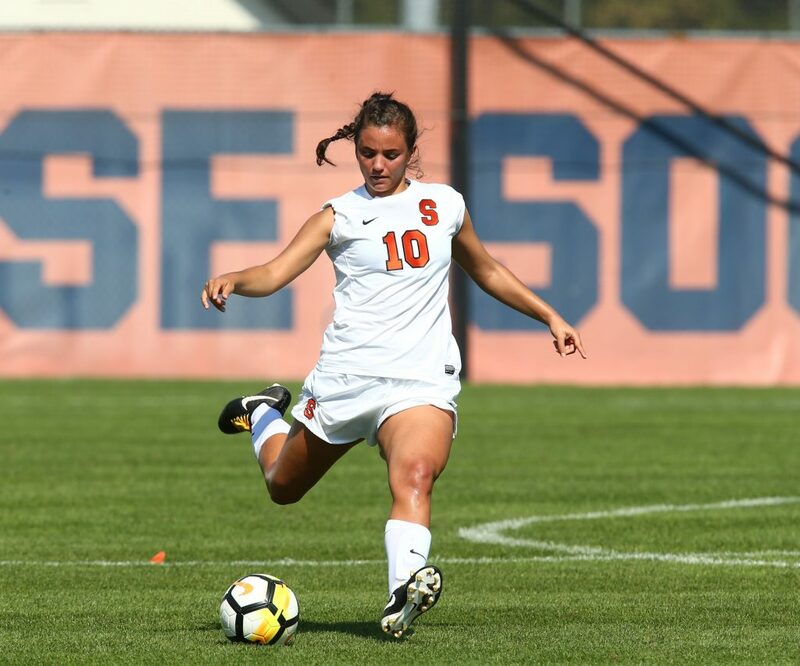 Soccer student-athlete Jessica Vigna ’18, who graduated with a degree in exercise science from the School of Education, plans to pursue a doctorate of physical therapy after spending a year getting experience working with a physical therapist. In her cover letter, she emphasized the skills she’s developed as a student-athlete. “Being on a team you learn about communication skills, leadership, cooperation and team work,” Vigna says. Vigna also points to the support of the Stevenson center staff, who helped her early on to organize and prepare for her academic school work, especially during the busy soccer season with road games when it could be challenging. 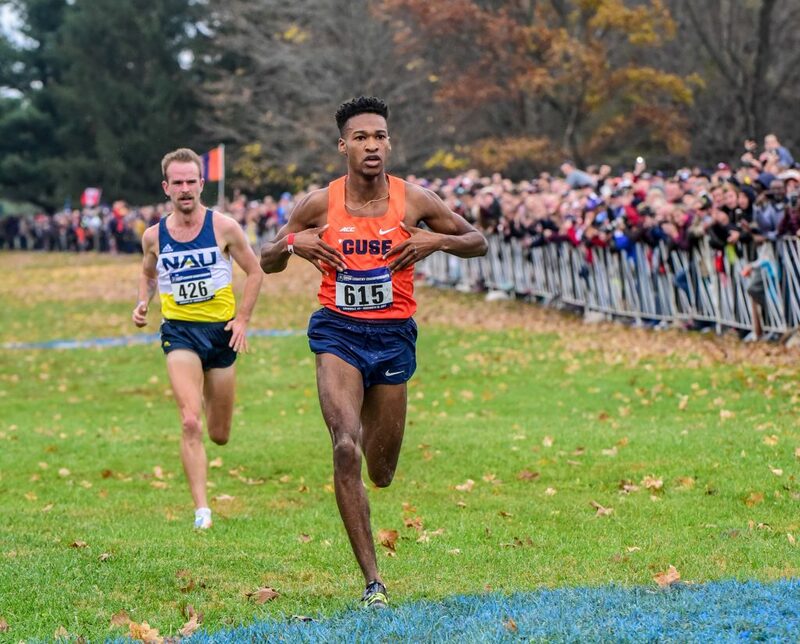 Cross country and track and field student-athlete Justyn Knight ’18 was grateful for the assistance in pursuing his academic goals and recalls an encouraging tutor his junior year who helped him excel. Members of the Stevenson center staff were always interested in what his future plans might be outside of a running career and offered advice on how he might reach his goals. “The one thing they stress here is you have to be happy with what you’re doing. If you can figure out what makes you happy, or hobbies that you might like, then they can help you formulate some jobs you might be interested in,” Knight says. Women’s tennis student-athlete Nicole Mitchell ’18 says the Stevenson Educational Center was especially helpful her first two years at Syracuse, helping in the transition from high school to college academics. Mitchell brought her education and her confidence as a student-athlete into the job interview process. “Being able to talk about the competitive nature and the time management skills that it brings helped me,” says Mitchell, who was hired to work at Keysight Technologies in marketing automation. 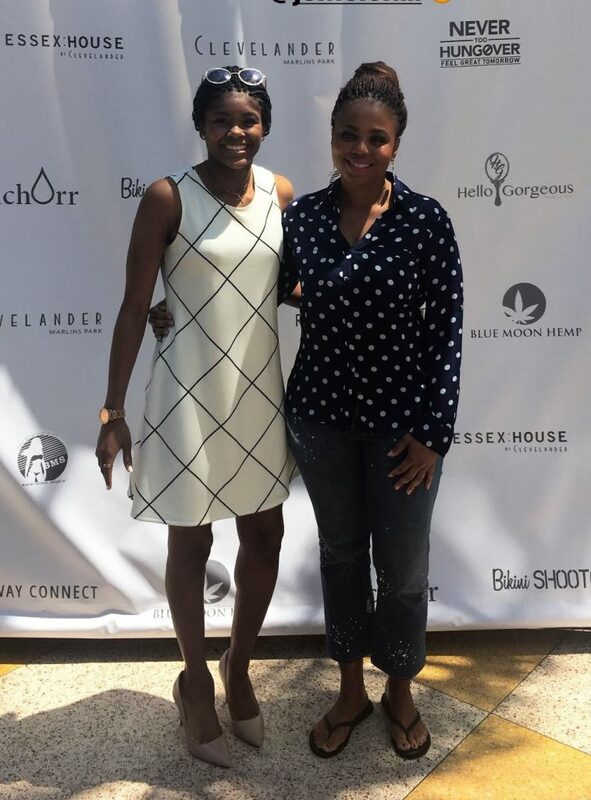 For Young, she parlayed her networking skills into a job-shadowing experience with ESPN journalist Jemele Hill, whom she met after a speaking engagement on campus. Young explained to Hill that she was interested in sports broadcasting and asked if she could shadow her. Hill invited Young and her mom to Miami in April to watch as she hosted ESPN’s programs “Highly Questionable” and “Around the Horn.” In Miami, Hill spoke to Young about her rise in sports journalism and the challenges she’s faced. “Her best piece of advice was broadcasters who have the same personality on and off television are the best people for the job because they remain comfortable all the time—whether they’re in front of the camera or not,” Young says. Valuable life skills that can translate into professional careers is a component of the Department of Athletics’ “S” Project, which helps student-athletes learn skills and knowledge in the areas of career readiness, financial education, healthy relationships and wellness, and personal development. The program was put into place several years ago after the Student-Athlete Advisory Council suggested a full-time life skills staff member. In 2015, academic coordinator Mark Trumbo was appointed coordinator of student-athlete engagement and later launched the “S” Project. In matters of career preparation, student-athletes can attend sessions, organized in partnership with the University’s Career Services, on such topics as branding, resume building and interviewing skills. Cross country and track and field student-athlete Colin Bennie ’16, G’18 feels ready to take the next steps in terms of a career because of the support of the athletics staff. Bennie graduated with a political science degree from the College of Arts and Sciences and the Maxwell School of Citizenship and Public Affairs and is finishing up a graduate degree in public administration from the Maxwell School. Bennie, who is looking at opportunities to work in the nonprofit field or possibly in coaching or athletic administration, was recognized for his success as one of this year’s winners of the Soladay Award, the most prestigious award given to a student-athlete by the Department of Athletics. Named after long-time athletics administrator Doris Soladay, the award is given annually to the top male and female student-athletes.